NZR Circus is an International Circus company focussing on Specialty Acts and Signature Stage shows. Currently in production are circus shows “Lumadrome” LED show and "Illuminaria" Fire show. 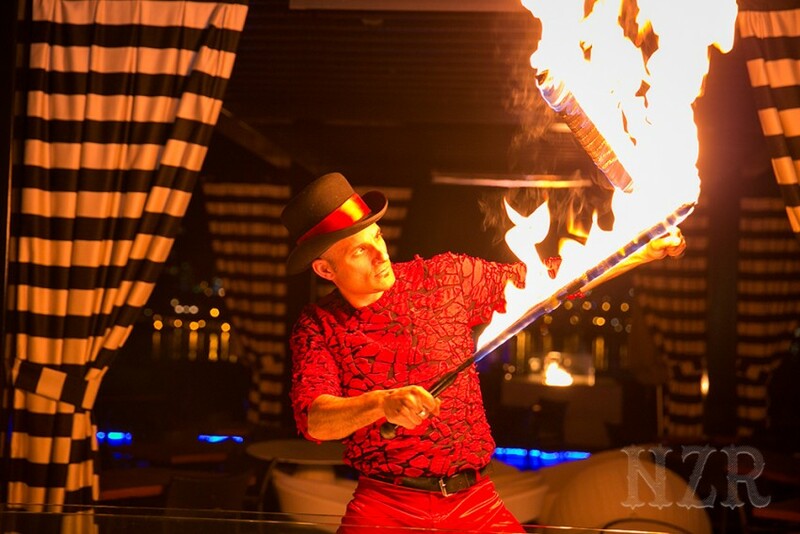 NZR has over 20 years of experience and has had performances all over the world ranging from Olympic events, Circus shows and large scale vignettes at fairs/festivals…NZR has some stellar performers ranging from Cirque Du Soleil Alumni, Theatre Actors and even Opera singers! The 2nd time we are using the Nzr Circus, amazing!!!! The second time we are using Nzr Circus, they provided us with a Fire act for my sons wedding reception and LED performance for my nephew's 1st birthday amazing performances and exceptional costumes...would hire again!